Former Virginia Democratic Gov. Terry McAuliffe took to MSNBC’s "Morning Joe" Monday, criticizing President Donald Trump and saying he'll decide by the end of of March whether he'll run for president. WASHINGTON — Former Virginia Democratic Gov. Terry McAuliffe took to MSNBC’s “Morning Joe” Monday, criticizing President Donald Trump and saying he’ll decide by the end of of March whether he’ll run for president. In January, the term-limited McAuliffe turned the office over to fellow Democrat Ralph Northam. He talked about his potential goals to get votes. 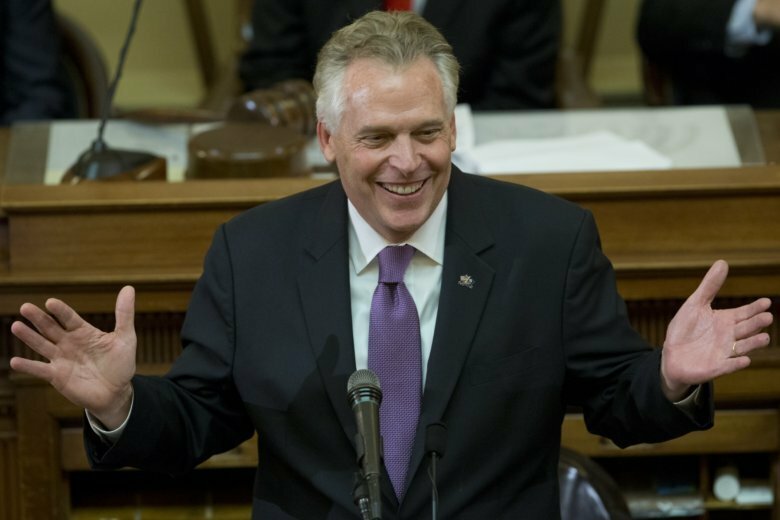 “Voters want someone who actually has big, bold ideas who is going to come in with a gigantic infrastructure plan,” McAuliffe said. Another local politician has recently criticized Trump publicly, and has not ruled out a presidential bid just yet. Maryland Gov. Larry Hogan stirred up speculation that he might run and saying Trump’s chances of winning in 2020 were weak. Hogan also pointed to the upcoming release of special counsel Robert Mueller’s investigation as a possible catalyst. On Thursday, in an interview with Politico, Hogan criticized the Republican National Committee, accusing it of trying to shield Trump from a primary by forming an unusually close partnership with his re-election campaign.